The 14th Dalai Lama was accorded a grand traditional reception on his arrival at Leh. The Dalai Lama on his arrival at Leh on Tuesday endorsed the decision of the Himalayan Buddhist communities to convert the monasteries into learning centres and said bringing change in “our” monastic system was necessary for the democratic system. Speaking to a gathering of Rinpoches, monks, nuns and other people of Ladakh, the Dalai Lama said with the shifting of paradigm from feudal system to democracy it was necessary to bring change in “our monastic system”. “Feudal system garners hate and violence, while democracy gives right to all for developing a peaceful environment,” he said. Talking about the current global situation, the Dalai Lama said with lots of materialistic development the world was passing through an emotional crisis. “In this respect, all the world religions should stress on spreading the qualities of love, peace, forgiveness and compassion. The 21st-century young generation should read the scriptures and look for themselves for the relevance of 2600 years old Buddha Dharma in today’s world,” he said. 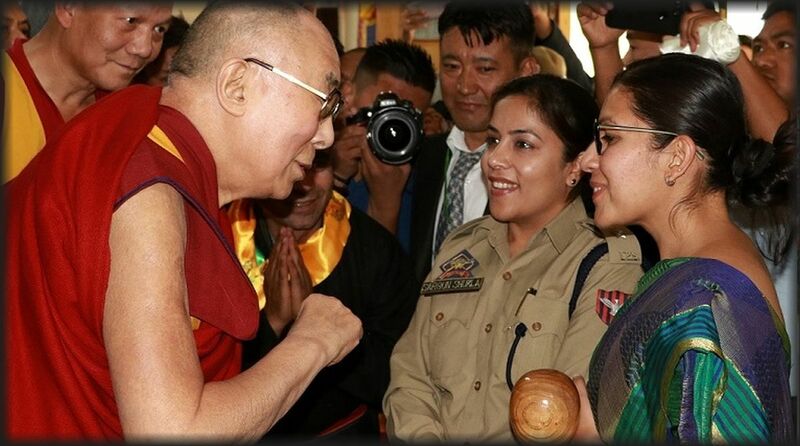 Dalai Lama thanked the people of Ladakh for showing love and respect. He said there was a need to develop the quality of love and kindness along with materialistic development. This quality should be developed mutually by all the religions of the world. He was received by J&K Legislative Council chairman Haji Inayat Ali, MP ThupstanTsewang, Leh MLA Nawang Rigzin Jora, MLA Nubra Deldan Namgail, executive councillors, LAHDC Leh, DC Leh, SSP Leh, GaldanThizur Rinpoche, Skyabgon Chetsang Rinpoche, Thiksay Rinpoche, Togldan Rinpoche, Thukrsas Rinpoche and other venerable Rinpoches, monks and nuns, members of the Ladakh Buddhist Association headed by President Tsewang Thinles, members of Ladakh Gonpa Association headed by Shadup Chamba, councillors, religious, and social heads of Leh and political heads of both Leh and Kargil districts.